© 2017 Don Pearse Photographers, Inc.
We worked with Friends Select, an independent co-ed day school on the Benjamin Franklin Parkway in Center City, to develop a Master Plan for upgrading their facilities in a series of phased renovations. The Master Plan identified the significant upgrades to the facilities. The second phase involved implementing the phased Master Plan, starting with an extension of the central stairs, the Bailey Circle Stairs, which now allows easy access to the lower floor athletic facilities. 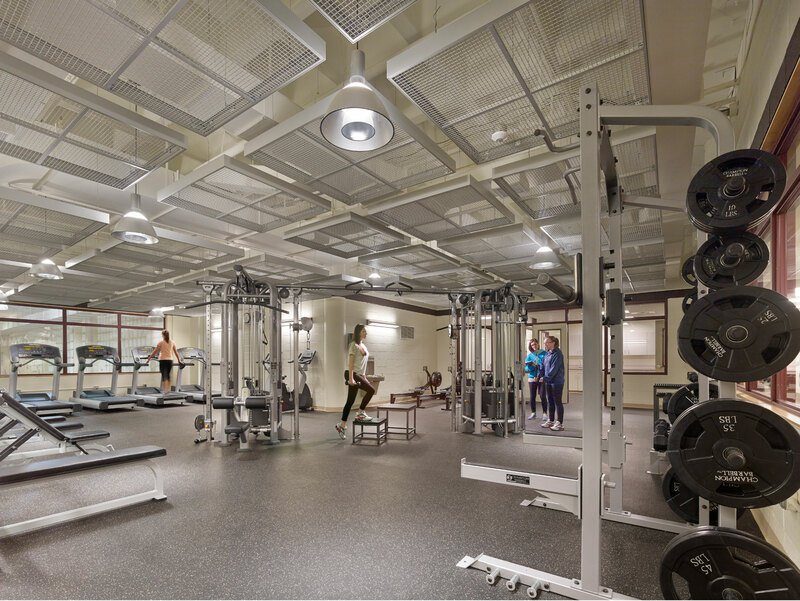 Once the central stairwell opened up this area, the third phase began with the renovation of the former locker rooms and additional space dedicated to athletics department, and repurposed to create a Fitness Center that overlooks the basement pool.